Elementary School Director Arielle Derby was recently selected to join the 2017-18 cohort of Prizmah’s YOU Lead program, an eight-month leadership development program for Jewish day school professionals that focuses on mentorship and peer support. Arielle was selected from a pool of applicants from Jewish day schools across the country. 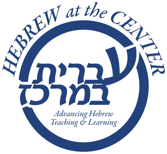 YOU Lead helps both established and emerging leaders in the field of Jewish education further their leadership skills through a comprehensive curriculum designed to augment individual strengths and help actualize participants’ professional aspirations. Together with peers, mentors, and top innovators in the day school world, participants reflect on practices and beliefs, challenge assumptions about Jewish education, and dive deeply into the defining issues of Jewish day school leadership in the 21st century. YOU Lead believes that effective leadership isn’t inherent. It is developed through years of experience building on successes, learning from mistakes, practicing self-reflection, and being part of a trustworthy community of colleagues and mentors. Throughout the eight-month program, participants engage in online and in-person learning covering a wide breadth of topics that leaders encounter every day. Congratulations to Arielle for joining this prestigious program!